Management of money is something which we all must know and if a person learns money management at an early age, they will always make a good future financial decision. We send our kids to school for their education, but no one teaches them about the financial literacy. It is however necessary for us to make them learn the value of money and how to be wise when it comes to spending. By teaching kids about money, they will understand the importance of giving to worthy causes and they also will know how to shop wisely. Below are some tips to teach kids the value of money. In yard sales, there are many things kids can buy. You can ask them to pick stuff for themselves within a fixed budget. Kids will understand money management and they will understand how they end up buying ample stuff with the money they have and if they use the same money in a shopping mall, they can buy just a couple of things. Shopping with kids is a great way to let know how the real world of money works. You can give your child a pound or so for spending in a nearby convenience store while you watch them standing a two or three feet away. This will help them understand how they exchange money for products and get changes if any. 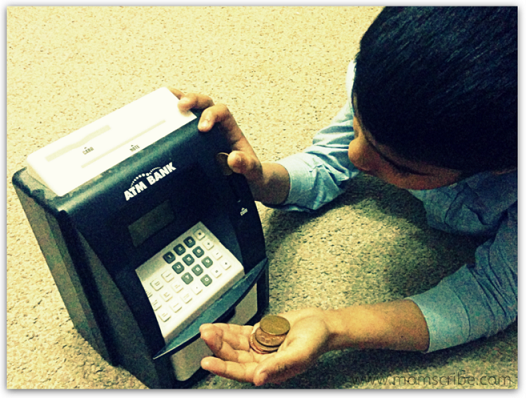 Kids learn by watching our ways of depositing and withdrawing money from banks. Also, they tend to learn more about real life banking by asking many questions like why are we here, why are you depositing money and so on. By answering their questions as a parent, we can help them improve their financial literacy. They will understand how bank gives interest on savings and how it is beneficial for us to save in banks. To make them understand the importance of money deposit and withdrawal, kids can emulate the process using their own piggy bank or a toy ATM. A lot of money can be saved if we use discount coupons or go shopping when there is a sale. You can educate your child that shopping during sales can help you save because you can buy the same things at less rates plus buy more stuff. Help your kids learn that it is not easy to make money. You can do it by encouraging them to earn their own money. Financial literacy can only be gained when you make them understand how they can generate their own cash. You can encourage them to start their own garage sale, selling their old books or toys through online shops (like amazon or eBay), babysitting (for grown up children), etc. Teaching kids about money is a tricky task and you have to observe them during the process. Create awareness among kids by sharing your saving goals. Encourage them to make savings for some big event or holiday so that the entire family contributes for it. You can also involve them to do charity. Tell them to save money in a piggy bank or a jar where every one pools in their monies and once they reach the target, they will learn an importance lesson - collective savings or money pooling for a specific occasion or need. You should always let your kids understand that sometimes we can get into situations of emergency and if we have savings, we can deal with such situations. Apart from the above, there are various activities you can involve your kids in, as per their age groups. If your child is under the group of 3 to 5 years you can coach them to set priorities in buying their stuffs. You will need to make them understand that they can spend on money on things only if it is really important for them. You may have to act strict sometimes so that your kid grows up as an adult who understands the value of money. Ask your kids to save money for buying Christmas postcards for their friends or gifts for self. For kids under the age group of 5 to 7, you can play money games available online and offline. These money games for kids are made in a way that they learn the basics about credit cards, debit cards, money interests and savings. Is there any other way that you practice ? If so, kindly share them below as we would like to hear them too. Its really useful post..I ll def try to follow these..
Uma, this article is super! I think the tips shared would help even the adults... Happy to know about money games, it would be a be a great help if you could name a few. I was struggling to teach my seven year old about money, but couldn't succeed at all. These useful tips will help me for sure to move forward.